In a developer update posted last night, 343 Industries outlined ongoing plans to update Master Chief Collection, an anthology of Halo games for Xbox One whose multiplayer has been plagued with problems ever since it released in late 2014. Beginning last fall, 343 has been rebuilding MCC to take advantage of improvements in Xbox Live matchmaking. The studio plans to roll out a new round of post-launch beta testing later this spring for players in the Xbox Insider program. The studio similarly tried to beta test an update to the game back in 2015 only to ultimately abandon those efforts. 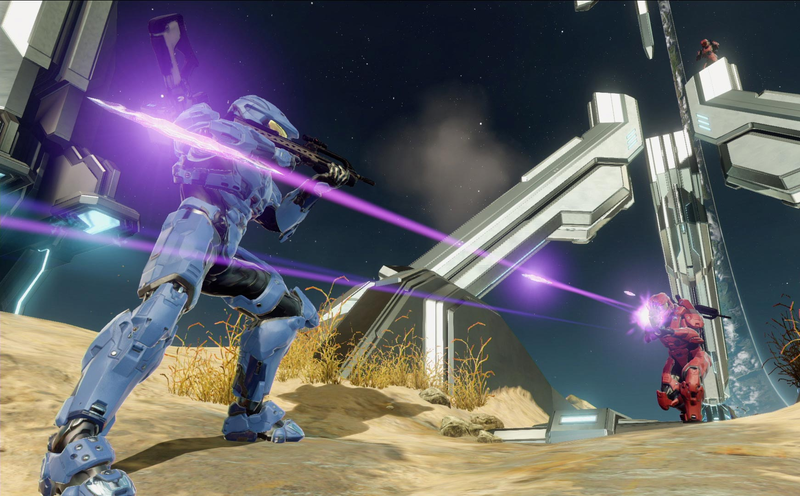 In yesterday’s post, 343 attempted to outline why this time is different and some of the ways this new test version of the game will differ from the one people bought years ago. According to Technical Directors Greg Hermann and Andrew Schnickel, MCC is being redeveloped with more modern matchmaking APIs (application program interface). To take advantage of them, as well as support Xbox One X features, engines for each of the eight games included in the collection have also been revamped. This way MCC won’t have to do as much work “reconstructing the network session” every time someone switches to different game, which the developers believe will lead to smoother transitions between matches and a much cleaner mutliplayer experience overall. “You’ll also notice a much faster game-to-game transition time, greater overall UI consistency, and [the engine update] also makes it easier for us to manage MP experiences and get players back into matchmaking quicker after a game session ends,” Hermann and Schnickel wrote. The studio also plans to get rid of peer hosting of any kind during online matches, and will be sticking entirely to dedicated servers to keep connections more stable. In a lengthy blog post from around the same time, Halo series director Frank O’Connor tried to mend bridges with players who felt betrayed by MCC’s broken launch and the shoddy multiplayer experience. “We ended up in a precarious situation where there was no way to make more fixes without potentially breaking something else or making things worse,” O’Connor wrote in his October post, trying to explain why the game never got fixed. The difference now has to do with the Xbox One X. In trying to update the game for the new system to take advantage of 4K and other enhancements, 343 saw an opportunity to finally go in an overhaul the MCC on a more fundamental level. Of course, all of this raises questions about the development of Halo 6. The studio recently said it will be a good while until it has anything significant to share about the next installment in the series. In yesterday’s update Brian Jarrard, 343’s Community Manager, tried to quell fears that reworking MCC will detract from the new game by noting that it’s a small and completely separate working on the former. “Rest assured that while MCC is incredibly important to the studio, in no way is this work interfering or taking away from the next big thing,” he wrote.